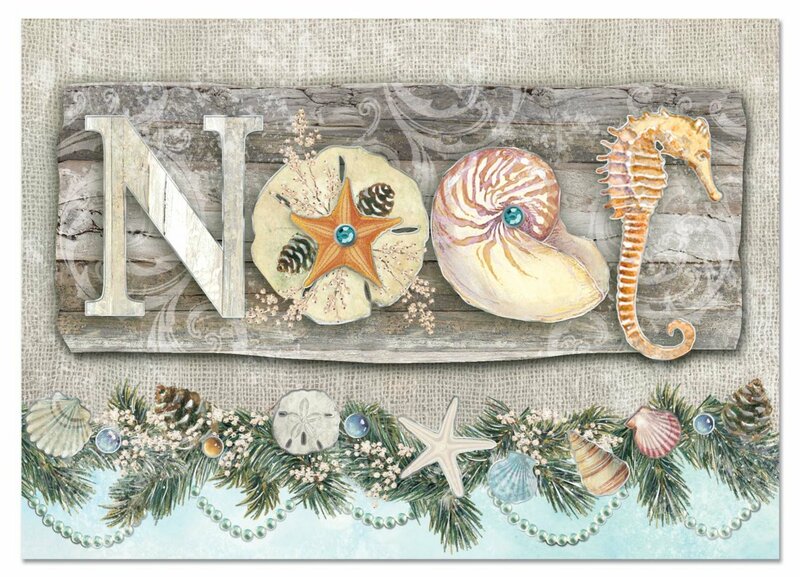 Bring a touch of the sea to your Christmas cheer this year! 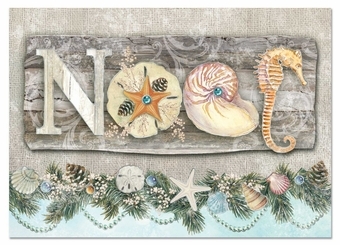 These cards feature the word "Noel" written with shells, driftwood, a sand dollar and a seahorse! The nautical feel makes for a unique look, and the cards are layered and accented with gems and shimmering silver foil. Inside is a message of "Season's Greetings".